Ramen is so good, just so good! 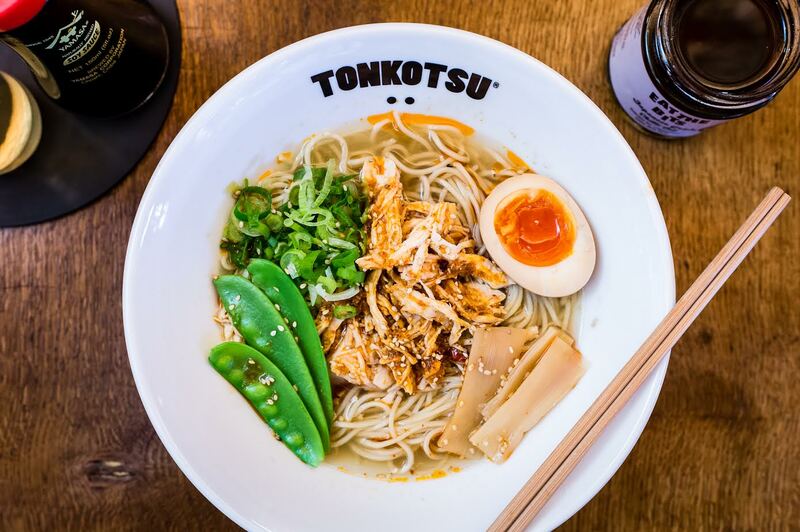 London is a surprisingly amazing city to get yourself a bowl of ramen, you’re spoiled for choice. Coming from Liverpool, which doesn’t have the biggest Japanese food scene, this was almost overwhelming. 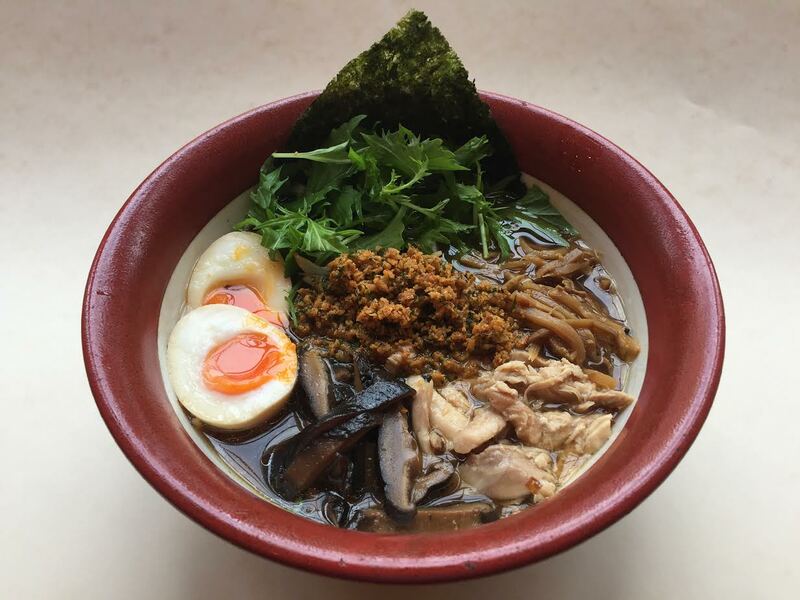 But never fear, I’m here today to talk about three great ramen chains dotted all over the city. Bone Daddies have gone for a traditional, izakaya-esque aesthetic. It works really bloody well, and feels much more Japanese than most other restaurants you’ll find around the capital. The ramen selection is massive, those of you who love spicy food will be in for a treat as there’s a whole array of ramen spiced to the max. I had one of the hot ones, the heat didn’t overpower the flavour at all – good job Bone Daddies! Bone Daddies have a range of cocktails at affordable prices. Whilst the selection isn’t as large as Tonkotsu’s, they’re a bit cheaper and just as good. Plus you get these fun bibs to wear to prevent the inevitable oily ramen splashback. Find your local Bone Daddies here. 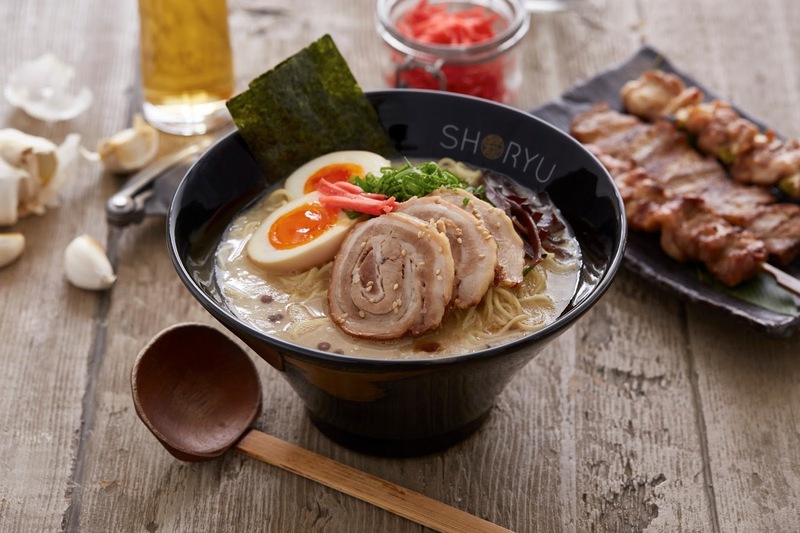 Whilst slightly more expensive than the other’s listed, Shoryu provides some of the highest quality ramen you’ll find anywhere, and offers one of the most authentic services. Having been to a few ramen joints in Japan, I can attest that they treat you as similarly as possible. The decor is simple and elegant, they haven’t done too much with it and that’s meant they’ve done just the right amount. Shoryu offer some of the better desserts for Japanese restaurants, they really excel in food. I guess that’s what a restaurant should do! Plus they have a bunch of specials that sound incredible every time. Like all listed, Shoryu have a plethora of incredible cocktails, although they’re not the cheapest. If you’re feeling full fancy, go all out for your Shoryu, but if you’re watching your wallet, maybe hit up the soft drinks menu. 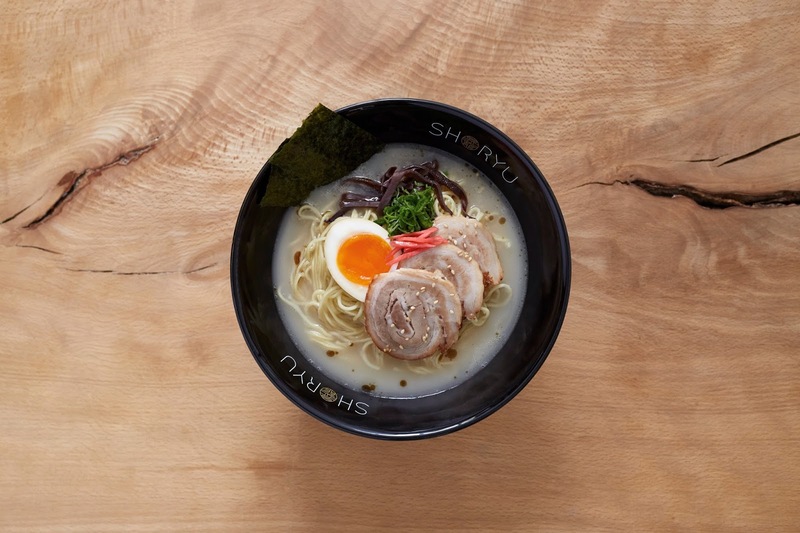 Find your local Shoryu Ramen here. Tonkotsu deserves a shoutout for it’s incredible reasonable prices that rival Wagamamas. The quality of the food is so much higher + is much more authentic than from a Wagamamas, though I still do love your standard katsu Wagamamas. You’ll find great atmosphere and decor, at least in the Bankside branch, which is what I’m basing this off of! It had a mostly black aesthetic, so of course I was down for it. Their signature dish is (surprisingly) the tonkotsu, and I can’t recommend it enough. Tonkotsu have many signature cocktails, I had an incredible old fashioned, however they all looked incredible. Japanese restaurants always kill it with the cocktails, but Tonkotsu really hit it out of the park. 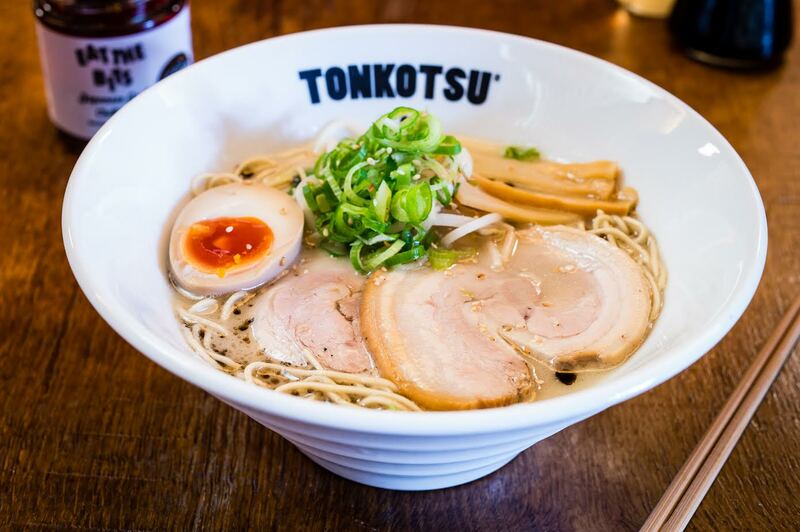 Find your local Tonkotsu here. As with all ramen places, unless you want to scare your date away, maybe not the best for a first date. Ramen is notoriously difficult to eat, it involves a lot of slurping. Whilst in Japanese culture slurping your food means that you’re enjoying it, we Brits find ourselves embarrassed for some reason. 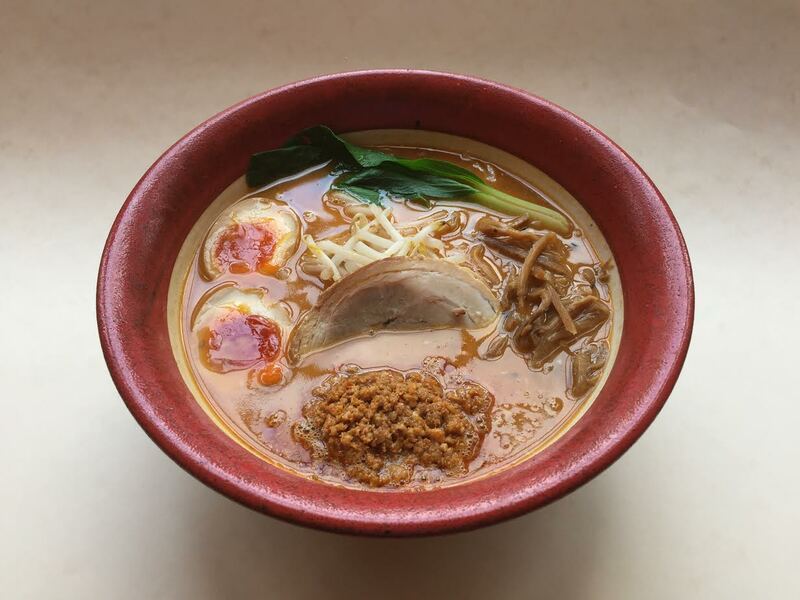 Now go forth and enjoy what London’s ramen scene has to offer! None of these are paid or sponsored promotion in anyway, I got in touch with some of the restaurants I love and they were kind enough to provide me with pictures much better quality than I had in my possession! Thanks guys!